Peaches is the reason Blind Dog Rescue UK exists and although she is no longer with us, I think about her every day. I hope she would be very proud of all of the dogs we have been able to help. I met Peaches while I was living in the Cayman Islands. I had adopted Danny, a gorgeous sighted dog, from the local Humane Society and sadly he was hit by a car a short time after. Whilst visiting him an the vet clinic I noticed an amazing, little red dog who had just had both eyes removed after an acid attack. She was brave and feisty and I fell in love with her immediately. I presumed she had owners and when I was able to take Danny home I asked the staff to pass on my admiration to the little dog's owners. They told me that she had no owners and in fact would be looking for a new home. Danny had some recuperation to do at home but I told them if she was still looking when he was well, I would happily adopt her. During Danny's recovery, Peaches went out to different homes and was returned each time for being too difficult or too noisy, and she was waiting for me at the clinic when Danny got the all clear! Peaches came home with me straight away and from that day it was as if she had always been there.. It was really meant to be. Peaches was amazing in every way. She quickly learnt to run free off lead, swim in the sea and do anything a sighted dog would do. She trusted me completely and I couldn't have had 2 more perfect dogs. I had never had a blind dog before but she needed so little help and we both learnt as we went along. I wanted her to have a totally normal life and so we just did whatever was needed to make that happen. 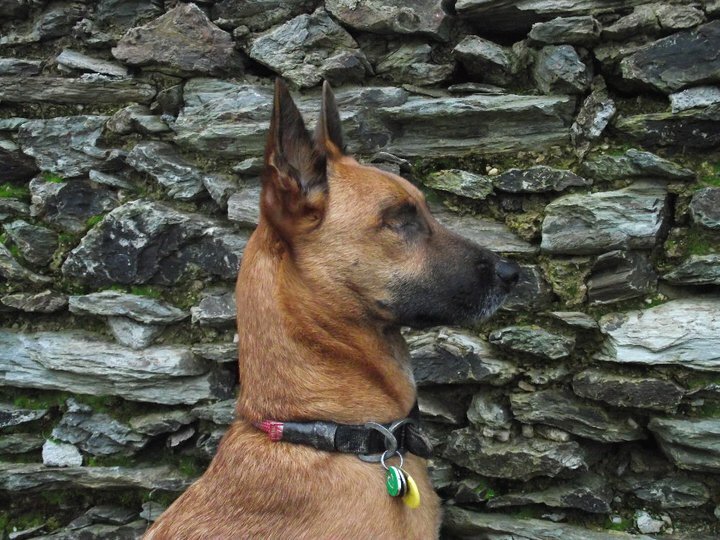 She learnt lots of commands which gave her the freedom to move with incredible confidence. She knew I would tell her if she needed to change course or slow down. 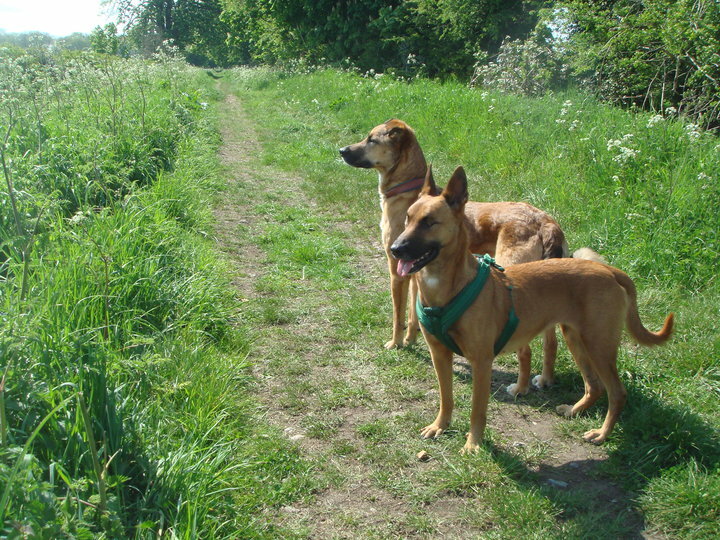 In 2009 we all returned to the UK together and life got even better for the dogs. Danny and Peaches discovered rabbits, proper grass and the English countryside! They both had so much fun and Peaches was the most amazing ambassador for blind dogs. Sadly just 18 months later Peaches died in a freak accident. She ran into the back of my car at speed and inhaled lots of air. Despite being only 13kg this caused a GDV and by the time we got to the vets she was in shock. The vets did everything they could but she just couldn't survive the surgery. Peaches was only 4 years old. Needless to say, both Danny and I were completely heartbroken. She was such an enormous part of our lives. Danny grieved as much as I did and was clearly lost without her. I knew I could never replace her but I felt I had a skillset that could help another blind dog. I needed to find the tiniest of silver linings from the tragedy. So I called a few rescue centres and asked if they had any blind dogs who needed homes. Sadly, I was told that they would euthanise a blind dog due to the limited chances of adoption and the difficulty keeping them in a stressful kennel environment. There was no one in the UK fighting for these dogs or telling everyone what amazing lives they could lead. I decided to set up a group that could promote blind dogs in need, prevent their euthanasia, and help rehome them. Quickly I realised how many dogs needed our help, especially when we became involved in European rescue. I was inundated with requests for help and thankfully some amazing volunteers joined me to help Blind Dog Rescue UK grow into a charity that had the ability to help these dogs and ensure they had a second chance in life. Many of these dogs are the victims of cruelty, whereas others have lost their sight to disease. Regardless of the reason, we are determined to find them amazing homes and help them live out their remaining years in loving homes.